As per press release of Waaree Energies, it has introduced a high performance WSM-345 Monocrystalline solar module which uses high efficiency monocrystalline cells. This Module delivers an Industry leading 17.8% efficiency with positive power tolerance. WSM-345 modules have lower LID (Light Induced Degradation) and offers higher return on investment with more watts-per-module. Its best-in-class efficiency ensures savings on balance-of-system and the space required for installation. These modules have undergone rigorous in-house tests, exceeding International standards to withstand various operating conditions. Waaree Energies Ltd is the flagship company of Waaree Group, founded in 1989 with headquarters at Mumbai, India. 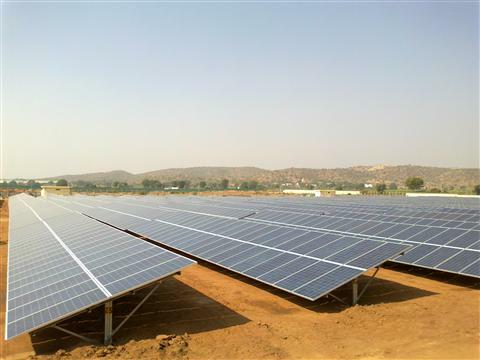 It is a leading player in the solar Energy space in India as well as internationally. It has India’s largest solar PV module manufacturing capacity of 500 MW, being scaled up to 1000 MW by the end 2015. Waaree Energies is present across the solar value chain providing EPC Solutions, Solar Modules for Grid connected solar farms, Rooftop Solar, Solar water pumps, Project development services and also as an Independent Power Producer. Waaree Group has its presence in over 20 locations nationally and 68 countries internationally. In past, WAAREE Energies has already completed installation of an additional 250MW of annual manufacturing capacity in PV modules, bringing the company's total annual manufacturing capacity of solar PV modules to 500MW. With this installation, WAAREE's manufacturing plant in Surat, Gujarat has become the largest single location solar PV module manufacturing facility in India. Installing solar is one of the most significant investments you will make. You'll see immediate reduction in your energy bill, shield yourself from increasing energy rates, and enhance your energy independence! In fact, a system from WAAREE SOLAR can provide a quick pay back within 3 years and the rest 20 years of operation - free of cost. Investing in solar power plants attract tax savings via 80% accelerated depreciation and IRR that can go high as 30%, that's better performance than you'd get from the stock market!